Experts tell that for work to be done suitably, the right tools are imperative. Having the know-how to apply the tools in achieving expected results is vital too. Considering this is very necessary when choosing fish finder transducer mounts. Buying Guide- which is the best for you? The transducer is the actual primary part of the fish finder. The fundamental purpose of the transducer is to send out the sonar signal to identify fish and locate underneath water structures. As a fisherman, without high-quality transducer, you have a meaningless fish finder. 15mm Magnetic Transducer Mount allows you to mount the fish finder transducer part on your kayak without using any glues or drilling any holes. The staff works marvelously on any given material for up to a quarter an inch thick. It is an excellent tool for all types of watercraft and small-sized fishing boats. On the side of your fishing boat, canoe, or the casement stern area of your V-hull or Aluminum Jon boat, fasten your transducer. The attachment sets up within several seconds without causing damage to the boat. This is great enough that you may even run the boat at high speed. Get the 15mm magnetic transducer mount instead of drilling holes on your boat. 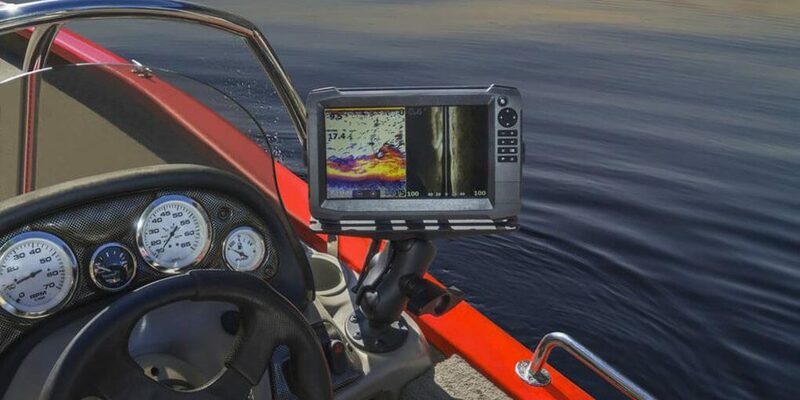 The mounting of the transducer is perfect for a rented boat as well as fly-in fishing excursions which enables you to have your fish finder and transducer readily portable. It is always easy to mount on a single hull boat in few seconds without applying adhesives or drilling holes. It requires mere seconds to mount the transducer on aluminum boats, kayaks and plastic boats, wood along with fiberglass boats. The Scotty Transducer Arm Mount is designed for Kayak cruisers who need a simple way of installing transducers for sailing. 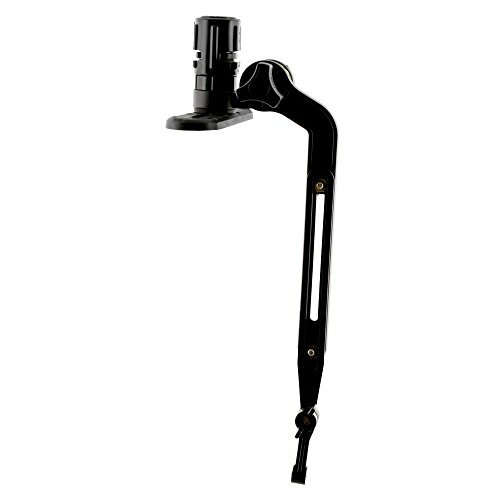 This Kayak/SUP Transducer Mounting Arm is a combination of high strength complex that will offer durable services without facing corrosion problems. Slip Discs are further included to cater for micro adjustments when required. The transducer telescopes from a compact range of 11.5 in. To 18 in; when extended fully swiveling 360 degrees. It is very effective and efficient thus attracting more users. 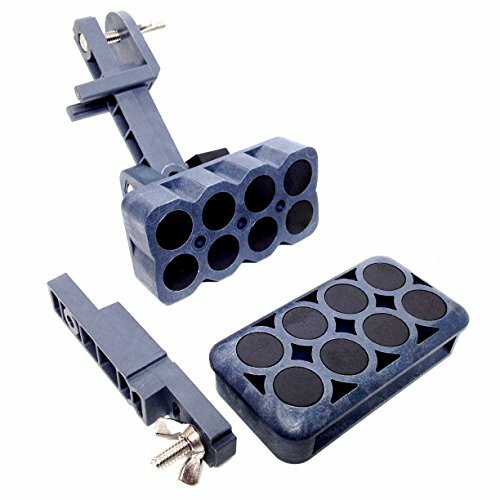 Has the 438 gear-head track adapter. The gear works in conjunction with slide track and facilitates sounder mount attachment when needed. Hummingbird Fishing’ Buddy MAX DI has a multi-directional mount. You can mount it on your boat, float tube, dock or even on your friend’s boat. You may clamp the Fishing Buddy nearly anywhere without wiring or rigging. The item provides for a natural one-touch regulation and AA battery power. With the recent Fishin’ Buddy, down imaging has been availed. The improvement has shed light on fish and structure. The 5ah 4.5 Magnetic Fish Finder Mounting kit is a product of Fish Finder Mounts.com too. The kit avails for the boat to offer you everything you require when mounting and powering your Fish Finder on your boat. It is further suitable for canoe, and rental boat since no drilling of holes on the boat is done while mounting. 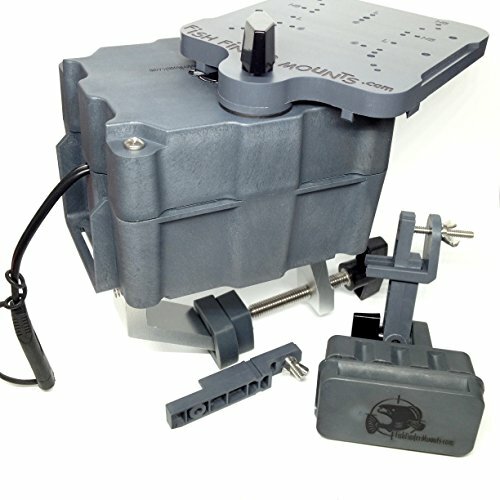 The kit comes with a 15mm magnetic transducer that works as an invisible clamp; hence no glueing or drilling is needed while you mount a fish finder transducer. 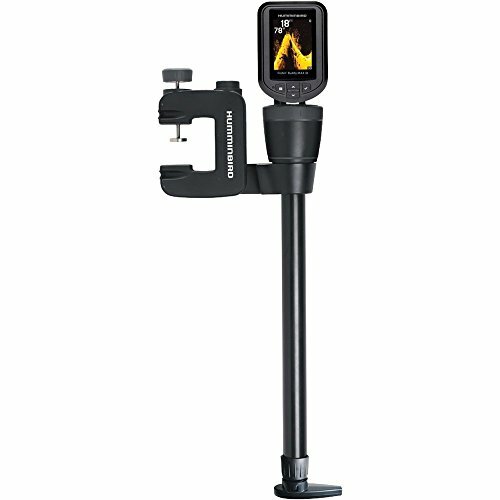 It is universal, that is, you can mount a variety of fish finders. the kit offers the most appropriate mounting solution for open hull watercraft which is small, like canoes, Jon boats, drift boats, Aluminum V-hull boats as well as skiffs. On your pontoon or any other boat, finish rigging fish finder up with Transducer Brackets is always recommendable. The pontoons require slightly special attention when rigging up with the electronics. For sea-faring vessels, you may opt for permanent mount Bracket or Universal Portable Bracket it performs wonderfully. It is cushy to install and easy and quick to remove. 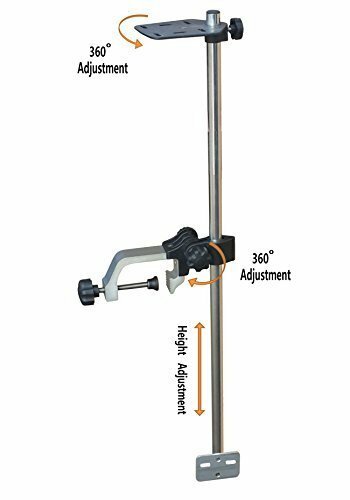 360 adjustable swivel for Universal fish finder mount. The power of a transducer is its strength to send sonar ping. High power raises the possibilities of echo in poor water conditions or deep water. Power further provides for better details like structure and fish. Hence, with powerful transducers, you can get deeper water parts and distinguish between fish and structure echoes. Various transducers display various features. When selecting a transducer, always check on the features of your specifications like; speed, depth and temperature. Bronze is preferred over plastic for wooden hulls since the expansion of wood may injure a plastic transducer causing leakage. Installing stainless steel housings in metal hulls needs an insulating fairing. A metal housing never should it be installed in a vessel whose ground system is positive. Fish Finder transducer Mounts come in all sizes and shapes. There is a transducer for every need, budget or preference. The variety is to ensure the client needs are meant into satisfaction. It is, therefore, your duty to make a wise selection while purchasing one to ensure it fulfills the anticipated purpose.